Before I landed in Iceland, I pictured a country of black rock interlaced with green moss, torn by blue-white glaciers and red lava fields. One colour that I wasn’t expecting to see was purple, in vibrant fields that stretch as far as the eye can see. This beautiful plant is Alaskan lupine (Lupinus nootkatensis) and, after driving around most of the country, I can say that it is literally everywhere! If it looks out of place in Iceland’s typically mossy scenery, it’s for good reason – the plant is actually an alien species. It was imported from Alaska in 1945 by the Icelandic Forest Service to fight soil erosion, which has been a problem in Iceland since the first Viking settlers landed. They cut down Iceland’s forests to build houses and use as firewood, faster than trees could grow back. And without any trees to anchor it down, the soil was quickly blown away by winds or washed away by rain. Volcanic eruptions and sheep grazing further added to the problem, leaving Iceland very soil poor. Alaskan Lupine seemed like the ideal plant to combat this soil erosion. Besides growing easily in soil-poor environments, it actually captures nitrogen in the air and releases it into the soil, thanks to bacteria growing within its roots. This makes it a natural fertiliser producer, which enriches the soil and allows other plant species to grow in the area. But what the Icelandic Forest Service didn’t predict is that the Alaskan Lupine would have it so easy that it would spread like wildfire, and compete with Iceland’s native mosses and lichens. As the Alaskan Lupine is a much taller plant, it blocks the sunlight from reaching these rock-clingers, which eventually wither away in the Lupines’ shade. The jury’s still out on whether the Lupine’s introduction was good or bad for Iceland. It has trapped and enriched the soil, reducing sandstorms and adding flora to barren lands. However, the Lupine has mainly helped itself to grow rather than helping other species, and has actually reduced Iceland’s native vegetation in certain areas. It has also spread to areas where there was no need to combat soil erosion, sprinkling the whole country with its vibrant purple shade. This beautiful plant has clear benefits and repercussions, and Icelanders are quite divided on whether its introduction has helped or harmed their country. Where would you stand if you were on the jury? 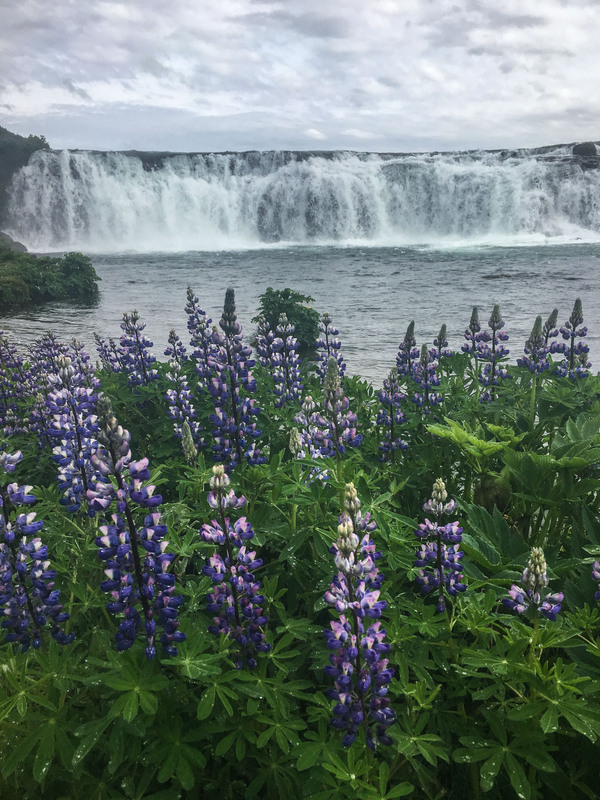 Alaskan Lupines bloom all around Iceland in June. One of the easiest fields to reach is along the Ring Road, when driving eastbound between Skogafoss and the crashed plane site – I’ve pinned coordinates onto the map below. I spent the night at Hotel Skogafoss, which was right nearby and pretty great by Icelandic standards. For more of my travel around Iceland and related tips, click here (constantly updated at the moment).